Ölüdeniz is a small town on the Mediterranean coast in Turkey. It belongs to the Turkish province of Mugla. The name of the tourist resort is the Ölüdeniz beach, with its turquoise sea water in the unique “Blue Lagoon”. Oludeniz has become one of the liveliest seaside resorts in Turkey due to its beach and many activities in the surrounding area. Accordingly many hotels, all-inclusive club facilities and pensions exist in the small town. 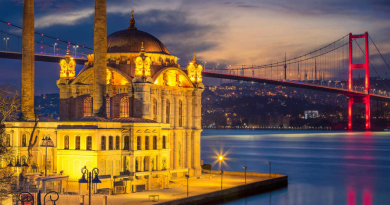 The room rates are slightly above the average for package tours to the Turkish south coast. Is a holiday in Oludeniz the right one for you? Ölüdeniz is a mixture of package travel and individual travel destination. 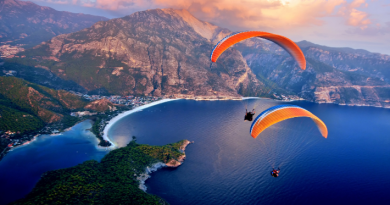 On the one hand, Ölüdeniz Strand, with its beachfront resorts, attracts many families for its low-cost package holiday offers and, on the other hand, there is an incredible amount of activity for travelers in the surrounding area. You can visit, for example, the ruins of Lycian rock tombs in Fethiye or the UNESCO world curated heritage Xanthos with the sanctuary of Letoon. If you want to experience a little adventure every day there is the possibility to book a tandem paragliding jump from the mountain Babadag back to the coast. The arrival time differs according to the selected airport. Possibilities are either Dalaman Airport (60 to 90 minutes) or Antalya Airport (180 to 240 minutes). Oludeniz is a perfect place to spend a relaxing summer vacation at affordable prices in Turkey. The value for money in the tourist resort is definitely one of the best in Turkey. In the seaside resort, you will feel equally comfortable as a family with children, package holidaymakers or party holidaymakers. In Oludeniz there is a balanced mix of all-inclusive club facilities, hotels, guesthouses and apartments. The largest and most expensive club resorts and best hotels in Oludeniz are located directly on the beach. Behind it on the second row there are smaller hotels and club facilities located. Basically, the entire area around the beach is reserved for tourism. That’s why you’ll find the most restaurants, bars and shops there. A good overview of the various accommodation options with guest reviews and price comparison options is available at TripAdvisor . 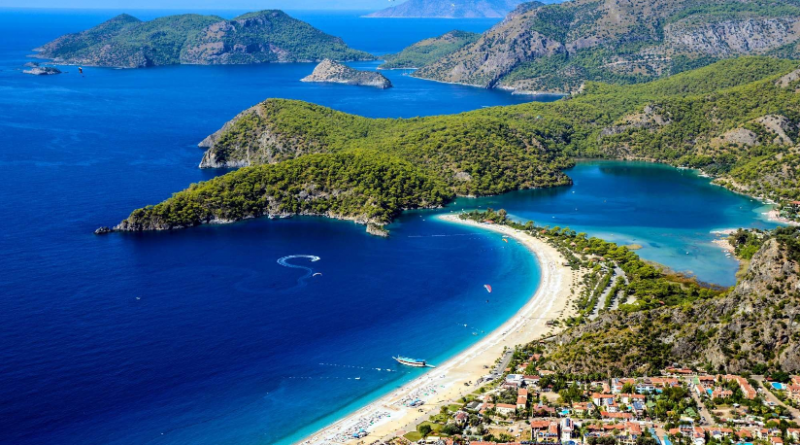 Tip: you have to pay for the Ölüdeniz beach and the “Blue Lagoon” an entrance fee. The umbrellas and sun loungers cost a few euros extra. About 5 euros per person per day. In the services of the all-inclusive hotels on the beach (or in the second / third row) these costs are already included. Flights: The easiest way to get to Oludeniz via Dalaman airport. It is about 60 kilometers away. There are, however, few direct flights to Dalaman compared to Antalya Airport. If you only have a one-way flight in Istanbul or Izmir, Antalya is the better choice for you, because the transfer usually goes faster than the change at the airport. Basically, flights cost the most in the summer months. Often they are as expensive as a cheap package holiday. This strange combination is only available in Turkey. If you are looking for a flight to Oludeniz, you should always compare various offers (package holiday, hotel & flight, flight only). Airport Transfer : The journey from Dalaman takes 60 to 90 minutes in one of the typical shared buses. Travel time depends on the number of stopovers in other resorts and hotels. With a private transfer with your own driver you are far faster at your destination. From Antalya the journey usually takes three hours. There are the same different options as in Dalaman to choose from. Car hire: You can rent a car at the airport Dalaman and Antalya and of course in Oludeniz. The drive from Dalaman to Ölüdeniz is quite simple. At the airport, you just have to drive onto the D-400 towards Finike / Antalya and drive to Fethiye. There you turn south towards Ölüdeniz. From Antalya, the whole thing is a little more difficult. At the airport you have to take the D-400 towards Finike and change to the E-89 in the Finike city center towards Denizli. There you change to the D-350 direction Fethiye to get back to the D-400 direction at Ugurlu. Continue on it to Fethiye and turn off shortly before in Camköy to Ölüdeniz. Alternatively, you can stay on the D-400 the entire first part of the journey. The route is much more scenic, but also takes a lot longer. The top attraction in Oludeniz is of course the beach and the “Blue Lagoon”. But there is also a lot to do away from a relaxing beach day in the region. You can see the ruins of 2,000 year old cities, visit nature parks and try different sports. Ölüdeniz beach is one of the most beautiful beaches in Turkey with the “Blue Lagoon”. In summer, the beach is visited by thousands of travelers every day. Therefore, for a few years, an entrance fee for the beach area around the “Blue Lagoon” is required. The money is used to keep the nature reserve on the beach clean from the traces of tourism. The prices in the bars and restaurants are therefore well above the average for Turkey but should not be too expensive assuming the exchange rate for foreigners. If you like living on a lively beach with bars and music from speakers, you’ll be happy at Oludeniz beach. The Kidrak Beach (Paradise Beach), located 30 minutes west of Oludeniz, is a good change to the Oludeniz beach. It is a lot quieter and no entry fee is required for the beach. 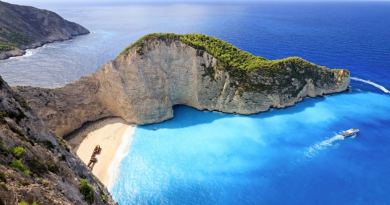 At the end of the kilometer-long Butterfly Valley you will find a beautiful, narrow sandy beach. You can either reach it by hike on foot through the valley (there is a bus stop) or by boat. The large all-inclusive facilities have their own nightclubs and bars. Outside of this, there are of course a lot of offers to have fun in the evening. Most beach bars, restaurants and outdoor discos are located in the middle section of Oludeniz beach. Most popular is the Help Beach Bar and the Buzz Beach Bar. In Oludeniz, as in all Turkish seaside resorts, there are sailing trips to nearby coves and beaches. You usually pay an all-inclusive price for food and alcohol while sailing. You should also go to a good Turkish restaurant or steakhouse on occasion. In Ölüdeniz there is a Mediterranean climate. High season – June to September: The summer months are marked on the southern coast of Turkey by daytime temperatures over 30 °, a 25 to 28 ° warm sea and the highest one rainy day per month. Low Season – April and May: At the beginning of April, the weather conditions in Oludeniz are still a bit changeable. Although the temperatures are above 20 ° Celsius during the day, the sea is not as warm and therefore not suitable for all travelers to swim. The closer it gets to May, the warmer daytime and sea temperatures gets. Late season – October: October is the most underrated month to spend a holiday on the Turkish south coast. The daytime temperatures are above 30 ° C in the first weeks of the month, the sea is 24 ° C and a little rain falls on 4-5 days a month. Winter and long-term holidays: In winter, temperatures on the sea drops below 10 ° C. Sometimes the thermometer even reaches ​​over 20 ° during the day. Rain falls every 2 to 3 days for a few hours. In Ölüdeniz and Fethiye many German and British long-term tourists and emigrants can be found in winter. This is due to the pleasant weather and low prices for all-inclusive stays in the cold season. ← Easiest Way to Fly to Cappadocia?